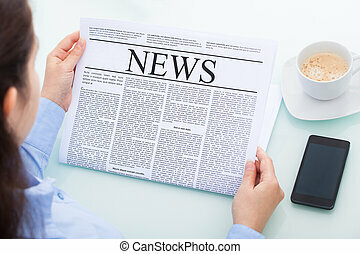 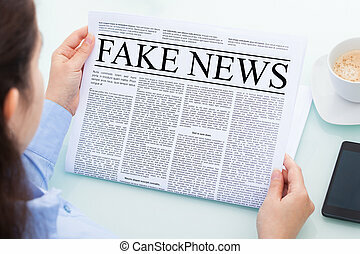 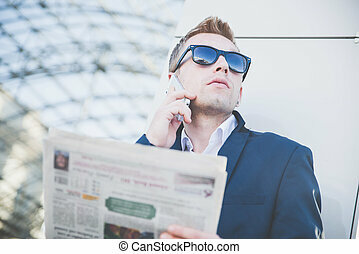 Boy holding a cellphone and newspaper isolated on white background. 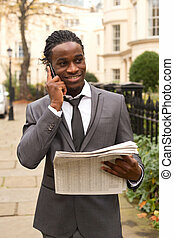 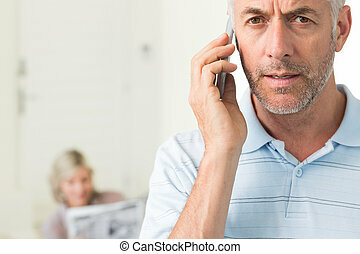 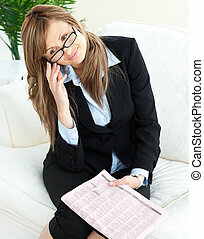 business man holding a newspaper and talking on the phone. 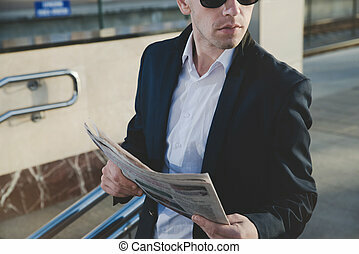 Stylish man in a blue jacket and glasses.